If you’re looking to take better pictures and snapshots of your children and family, consider the rule of thirds! One of the things that I learned from my mother growing up is that the value of a photograph isn’t always about technical perfection, it’s about the story that it tells. Yes, there’s a time and place for beautifully lit and well posed professional portraits, but there’s also something to be said for capturing those every day moments when there’s no professional portrait photographer and the only camera around is on your cell phone. 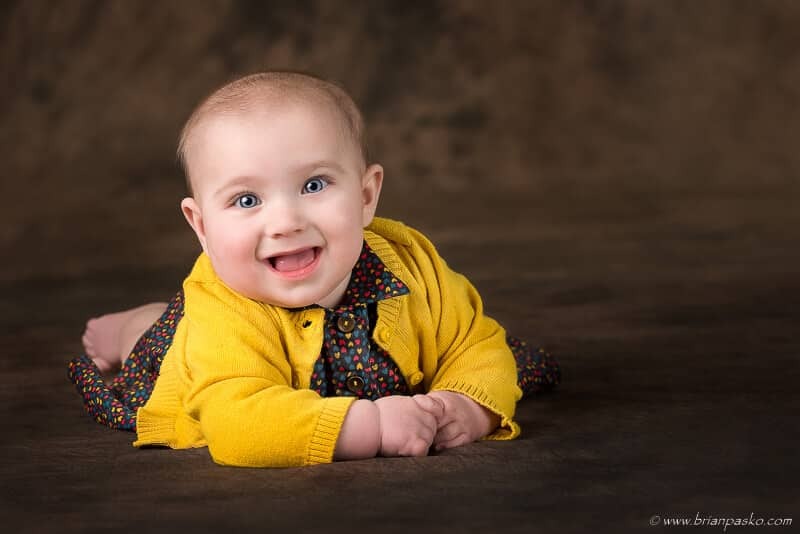 In those cases, there are some simple rules you can follow to maximize your success and create compelling photographs of your children and family. One of those guidelines is called the “rule of thirds.” It’s a composition technique that professional photographers use every day, and you can easily incorporate into your every day snapshots too. By placing your subject as closely along these imaginary lines as possible, you can create images that lead the viewer’s eye through the frame and create a more visually appealing photograph. 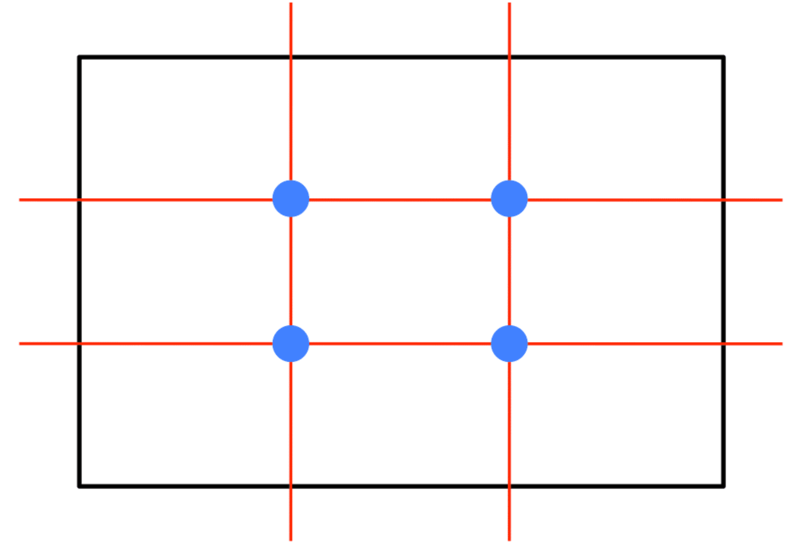 The points where these lines intersect (the blue dots above) are called power points and they are often the most compelling points in your image. The power points are great spots to put the eyes or face of your subject, for example. In western cultures we read books from left to right and top to bottom. And we intuitively do the same with pictures. As a result, placing the subject at the bottom and right of the frame is thought to lead the viewer into the image and invest them in the photograph because it causes the viewer to collect information about the image until their eyes rest on the subject at the bottom right. However, the differences are subtle and placing the subject on the left can be equally as powerful. Placing the subject on the left can create a “shared experience” with the viewer, especially when the subject is looking across the remaining portion of the frame. Finally, remember that the rule of thirds really isn’t a rule – it’s just a guideline. And guidelines are made to be broken! Sometimes placing the subject in the middle of the frame makes a lot of sense, especially when there are elements of the image that create balance on either side. Trust your gut, as your eye is ultimately the best judge of what is or isn’t a visually pleasing image. So, the next time you pull out your cell phone to take a picture of your son, daughter or other family member, take a second to think about the rule of thirds before you hit that shutter button! Of course, you can often crop the image later, but that’s not always possible and causes you to lose quality in your final image. It’s always better to try to perfect your composition in camera, rather than trying to fix it later.